AUGUSTA — On Thursday, the Maine Senate Democratic Caucus unanimously voted to elect Sen. Troy Jackson of Allagash, Sen. Nate Libby of Lewiston and Sen. Eloise Vitelli of Arrowsic to the Senate Democratic Leadership team for the 129th Legislature. While Jackson received unanimous support for the Senate Presidency from the Senate Democratic Caucus, an official vote will be taken by the entire Senate on swearing-in day, December 5. Jackson is a fifth-generation logger from Allagash, who began his official foray into politics 20 years ago with the 1998 logging blockade along the Canadian border. Since then, Jackson has emerged as a champion for working families, lower health care costs and supporting Maine’s natural resource-based economy. In the Legislature, Jackson has served on a number of Legislative Committees: Inland Fisheries and Wildlife; Labor, Commerce, Research and Economic Development; State and Local Government; Agriculture, Conservation and Forestry; and Energy, Utilities and Technology. 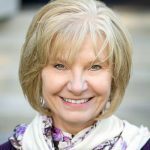 Libby has represented Maine’s second-largest city in the House of Representatives and the Senate, and has served on the Legislature’s Taxation Committee and State and Local Government Committee. Last session he also served as the Ranking Member of Legislature’s Government Oversight Committee. In the Legislature, Sen. Libby has focused his efforts on improving public education, community redevelopment and student debt relief. 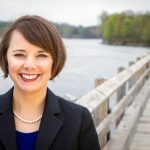 Vitelli previously served on the Legislature’s Marine Resources Committee and the Special Task Force on Maine’s 21st Century Economy and Workforce. She is also a 1995 inductee of the Maine Women’s Hall of Fame. 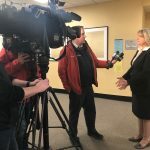 Earlier this year, Sen. Vitelli retired after 35 years with New Ventures Maine (formerly known as Women, Work and Community), a statewide organization that helps Maine people create their own path to a career by finding jobs, continuing with education or starting a small business. The leadership team was selected by the 21 members of the incoming Maine Senate Democratic Caucus. Lawmakers will be sworn in for the 129th Maine Legislature on December 5, 2018.